As yesterday was Thanksgiving Day in the United States, I wanted to say a quick thank you to you, my readers! Thank you for supporting me, and for sticking with me, no matter how long I am taking to write my next book. I am hoping to have Peggy's story ready for you very early in the near year. The hero of her story is none other than Rory MacTavish -- a man you may recognize from previous McDougall books. In the meantime... I have a Christmas story I'd love to recommend to you! Have you started getting into the spirit yet? Thank you all for staying with me as we read the stories of all of the McDougalls! You’ve read the stories of the brothers, and now its Peggy’s turn. I’m about 10,000 words into her story, which is a spirited adventure within Scotland. We do go from the Highlands to dip down into Glasgow and learn more of the life in the city in the 1880s. Peggy’s love interest? Someone you have met before… any guesses? Are you looking forward to her story? I have a few book recommendations for you today, including a free book … enjoy! Win a Signed Copy of Temptation of Fire! How is your September? I hope you are enjoying the crisp weather (depending where you live), pumpkin spice lattes, apple crisp, and more! The holiday season is just around the corner, and I can hardly wait. Life has been hectic, I admit, but I am slowly beginning to chip away on the fifth and final book in the McDougall series! After her four brothers find love, it is time for Peggy to have her own story. I can’t wait to share it. In the meantime, I have a giveaway for you! Follow me on Bookbub in order to be eligible to win a signed printed copy of Temptation of Fire. Take a screenshot of your follow, and then either email me or leave a message in the comments of my Facebook post. If you're not sure how to screenshot, simply send me your name. Lately we have been all about the McDougalls, of course, but I still have my love of time travel romance! Perhaps it is because there are so many obstacles to overcome for love to prevail, but something about the genre has always drawn me. Of course time travel is always completely fictional, however, when I was researching the first book in my series, it was interesting to learn about the various theories out there. In following Einstein’s theory of Special Relativity, traveling forward in time is likely not an impossibility. In fact, when in space and moving much faster than on earth, time passes slightly more slowly. Astronauts who have spent significant time in space age at a slightly slower rate than people on earth. There are various theories on how one could travel back in time. These include wormholes (such as in Love for All Times), and black matter. So far, however, any theories have been disproven by other scientific theories. So for now, impossible, but in the future … who knows? In my Love for All Times series, we go back to the 16th century Scottish Highlands, but I want to know -- if you could travel to any time previous to this one, when (and where) would you go? And why?! I would love to hear in an email, or join the discussion on my Facebook page! I hope everyone had a lovely first weekend in September! While fall doesn’t officially start for some time, somehow it seems as though this is the official farewell to summer and welcome to pumpkin spice lattes, sweaters, and crisp, cool air. I have appreciated the many lovely reviews on Roderick and Gwen’s story. Today is your LAST CHANCE to buy at 99 cents, before it goes up to $2.99. This was the first time I released a book wide (with other retailers besides Amazon); however, I am considering entering it back into Kindle Unlimited -- making it exclusive to Amazon. Do you read with Kindle Unlimited? I would love to hear if you do. Click the buttons below to vote! If you’re ready to curl up and read something new, check out a few of the books below. Last week was such an exciting week with the release of Roderick and Gwen’s story! I hope you are enjoying it -- either the steamy or sweet version. If you have read it, reviews are very helpful for an author and I would so appreciate one on Amazon and/or Goodreads! The fourth McDougall book is now live! I am so excited that the fourth book in my McDougalls series is now available! This was a long time coming, I know, and I hope you enjoy the fiery story of Roderick and Gwen. There are two versions of the book available, depending on your preference. 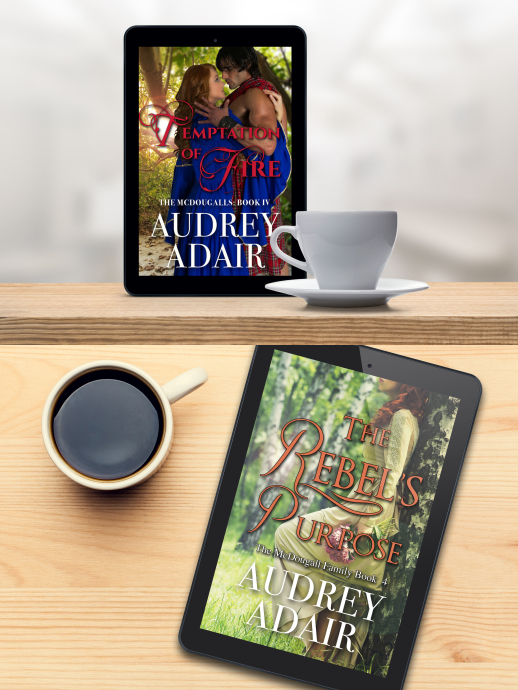 Temptation of Fire is the steamy version, while The Rebel’s Purpose is sweet and wholesome. These characters were so much fun to write, and really came off the page and took over the story themselves. Once you read, I would love to know what you think! If you are able to leave a review at any retailer, on Goodreads, or Bookbub, that would be wonderful. I so hope you enjoy this tale of a charming Scot and the woman he -- quite literally -- captures. Read more of the description below! The book will be 99 cents for a limited time so don’t miss it! One more week, and it is time for Roderick & Gwen’s story! As always, I have saved some of my favorite ideas in a pinterest board. Pictured are the inspirations for our characters, but I would also love you to see the gorgeous photos of Aldourie, near Loch Ness, where our story takes place. You can find it all here! There was so much to research for this book, as always. Of course I knew about outlaws in the west, but I wasn’t entirely sure about outlaws in the 1880s, nor about outlaws in Canada as opposed to the United States. Place names are something else that have been interesting research. For example, our story begins in Canada (but quickly moves to Scotland -- never fear). Except at the time, our setting is actually what was then known as the Northwest Territories. The town of Fort Qu’Appelle was then called Qu’Appelle, whereas today’s Qu’Appelle was called Troy. Confused yet? Never fear, you don’t have to know any of this to read the book. I would love for you to pre-order for only 99 cents. The links are below! It seems like it has been such a long time coming, but the fourth book in the McDougall series is now on pre-order! Both the steamy and sweet versions will be released on August 22nd. You can pre-order through the buttons below. I loved writing this fun tale of Roderick and Gwen and I hope you enjoy their adventure. She’s a thief; he’s an officer of the law. What could go wrong -- or right? I have one other piece of news! The McDougall series is going to be “going wide,” which, in the publishing world, means it will be available on all retailers, including iBooks, Kobo, and Nook (Barnes and Noble). It does mean that it will no longer be available in Kindle Unlimited, unfortunately, but it will be some time before the change is made. I hope you have a wonderful week, and enjoy the books below while you wait for Roderick and Gwen! Does summer always seem to fly by for you? Kids are at home, in most places the weather is much nicer, everyone is outside -- I love it. What about you? I’ve started a discussion on Facebook -- tell me about your summer. 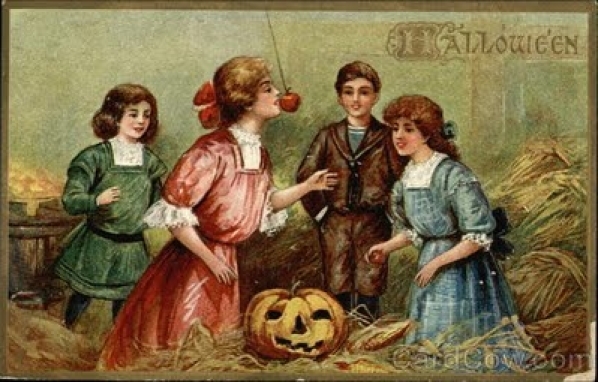 Is it your favorite time of year or do you look forward to the fall? Last newsletter I promised to share with you the sweet version of this cover -- and here it is! What do you think? I love this one, and it is perfect for our heroine, who you will meet very soon. In the meantime, I have some suggested reading for you below! I hope everyone is having a lovely week! I have had a few questions about my next books, and I promise, they are coming! I am busy working away on Roderick and Gwen’s story. Good news -- the first draft is now complete and after another review, it will be off to the editor. While I don’t have the book ready for you yet, this week I did want to share the title and the cover for the steamy version of the book. Next, I will share the sweet version! What do you think of this one? While you wait, be sure to catch up with the McDougall family -- the sweet and steamy versions of the books can be found below. Already read them? Then I have a few recommended reads for you to enjoy. I hope you are all having a lovely July Wednesday. In the summer, I love nothing more than heading outside with a good book and a coffee in the morning or a glass of iced tea in the afternoon. I am busy working away on the fourth book in my McDougalls series, but now is the time to catch up! You can find the book links below. And you can always receive alerts for my new releases by following me on Bookbub or Amazon. I would love a follow! Click here to follow. I also have a couple of other recommendations, as always. Emily Murdoch has a new series, with the first book now available and the second on pre-order! Check it out below. For your Scottish fix, pick up the free read below. Ah, the aptly named book boyfriends -- the men of our dreams ;) There’s something about a Highlander I’m particularly partial to -- how about you? I’m willing to bet there are a few here who have a preference for Scottish men as well, but I’d love to know which era you most enjoy your heroes -- and heroines! Head on over to my Facebook Page to discuss. I hope everyone is having a wonderful summer so far! Looking for beach or pool reads? Check out a couple of the recommendations and book fairs below. One of the best parts of writing historical romance is getting the opportunity to research. It can also be one of the toughest parts, if it takes some time to find what you’re looking for. I can’t tell you how much time I’ve spent researching the railway system in the United Kingdom, first for Adam and Rebecca’s story, and now for Roderick and Gwen’s! It’s important to know the legs of the journey as well as how much time it would take to get from one place to another in order to properly tell the story. In this book, Gwen and Roderick travel from Glasgow to Perth on the Caledonian Line, and from there they take the Highland Railway from Perth to Inverness. If you’re interested in historical documents, this will be of interest to you. George Bradshaw published a tourist guide for Great Britain and Ireland, which describes train routes in detail. You can find the book online here: https://books.google.ca/books?id=80AGAAAAQAAJ&redir_esc=y. And of course, below are some recommended reads for you this week. I am currently reading a wonderful series by Cecelia Mecca, the Border Series -- I'm on book 3! Many of you have probably either heard of the books or read them yourself, but if not, check them out here. I know my next book will not be available for some time, but I have to tell you just how much I am enjoying writing about Roderick and his heroine Gwen! 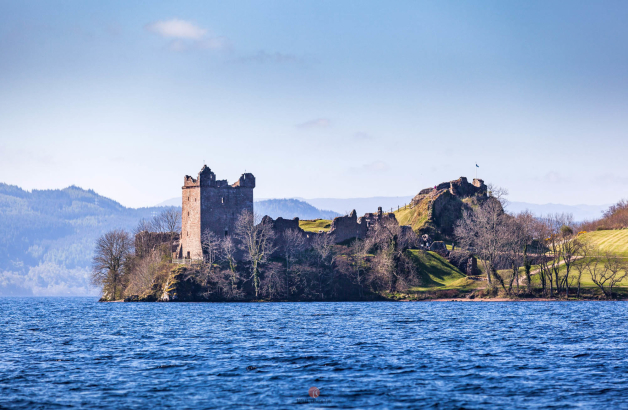 To tease you a bit, I can tell you that we start in the new world, but rest assured we spend most of the story in Scotland near our lovely Loch Ness. If you haven’t already, now is the time to catch up with the McDougalls! The books are available below, sweet or steamy. In the meantime, I have some book recommendations below -- a few different books, depending on your taste! Thank you everyone for your input last week! After reviewing all of your responses, I will be releasing both the steamy and sweet versions of Roderick’s story at the same time to try to avoid confusion. What this means is that the next release will be slightly later than planned. I am hoping you will have Roderick's story in your hands by late August / early September, with Peggy's story coming around mid-December. In the meantime, I hope you are enjoying your summer! It’s so hot but so welcomed as well. As always I have some books to recommend for your beach days or lazy Sundays in the yard! 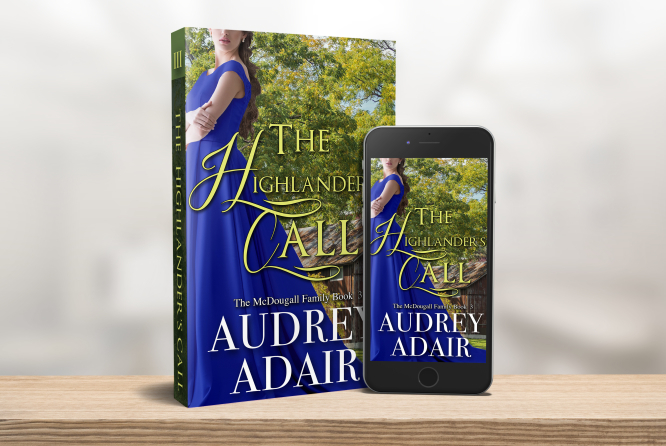 The Highlander’s Call is here! The Highlander’s Call, the sweet and wholesome version of Treasures of the Wind, is here! For those of you who have been patiently waiting, this is the third book in my McDougall family series, and tells the story of Adam McDougall and Rebecca Trenton, an Englishwoman who finds herself in the Scottish Highlands. If you prefer a bit of steaminess, be sure to look for Treasures of the Wind, which is also available on Amazon. Adam is definitely the thinker among the McDougall men, and he and Rebecca must fight against outside forces to find their happy ending. I hope you enjoy it! I would so love to know what you think, and, as always, would appreciate your review on Amazon and Goodreads. If you know someone who would enjoy this, please forward on.